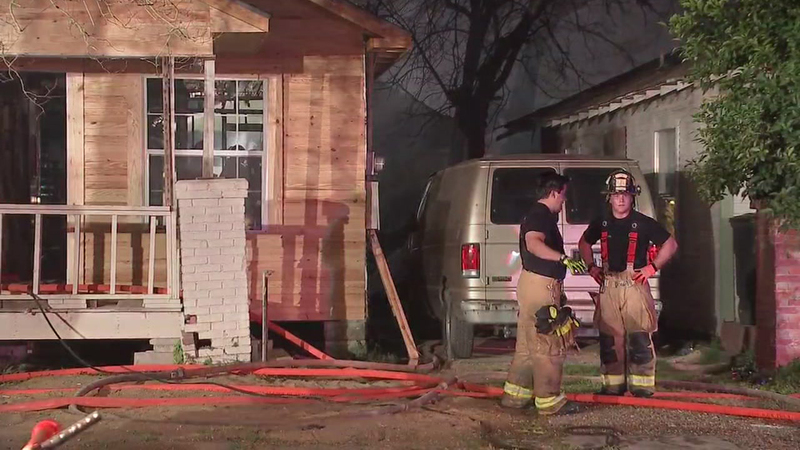 HOUSTON (KTRK) -- A fire that started Monday night spread to three neighboring homes in east Houston. The fire started at one home on Avenue F and Wayside. According to a spokesman with the Houston Fire Department, firefighters arrived at the scene and found two others had also caught fire. Officials pulled a second alarm but canceled it a few minutes later. The fire was under control within 15 minutes of its initial report. No injuries were reported, but the extent of damage to the houses is still unclear. The Red Cross was notified so it can help the affected families.